Serving as a popular stopover destination, why not spend a couple of days in Doha, a vibrant hub for both business and leisure travellers, and get to know this exciting city. With the 2019 World Championships in Athletics due to be hosted in the city, there’s never been a better time to delve into Doha’s wealth of culture; visiting museums, sampling traditional cuisine, exploring the local souqs and so much more. 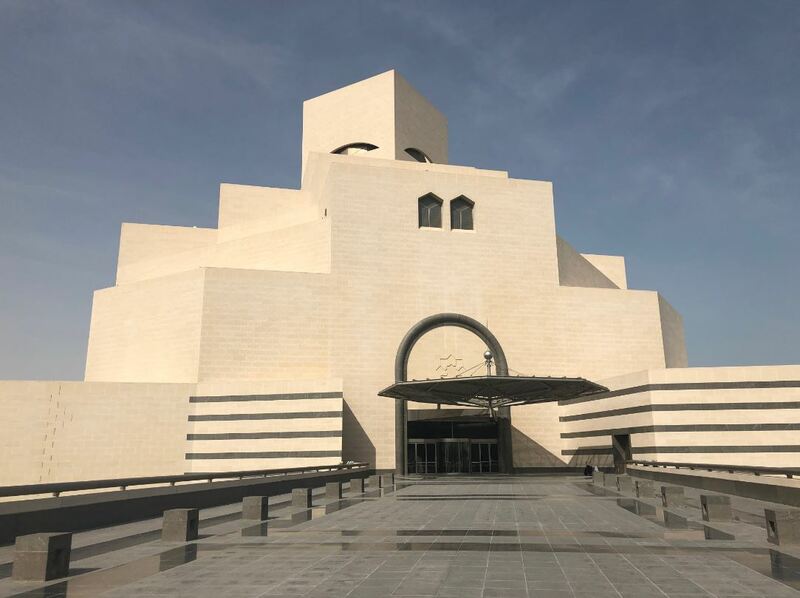 The Museum of Islamic Art boasts a spectacular collection of art that was found in three continents, spanning over 1,400 years. The building itself is an iconic work of architecture, comprising five stories and a 45 meter long window overlooking the bay. 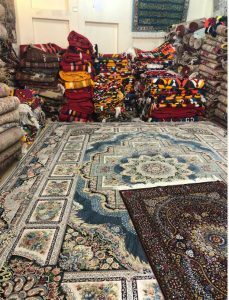 Doha is made up of a multitude of Souqs, each lined with shops selling perfume, spices, falcons, jewellery, traditional clothing, carpets and so much more. A truly sensual experience, lose yourself down the endless passageways and see what surprises you can find. A short drive from central Doha, Torba Farm is a welcome surprise from the hustle and bustle of the city. This open air market sells artisan and eco-friendly goods. To name a few, pick up homemade body lotions, vegan goods, fresh smoothies and Ethiopian coffee, baked cookies and so much more. No trip to Qatar would be complete without an exhilarating dune bashing adventure. Jump in a 4×4, hold on tight and enjoy the ultimate desert safari tour! Tivoli Hotels & Resorts recently entered the Middle Eastern market, so travellers are now able to choose from a great choice of Tivoli Hotels in Qatar. 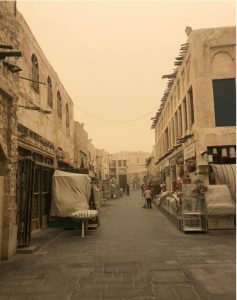 Enjoying a perfect location between the financial district and the Souq Waqif, Al Najada Doha Hotel by Tivoli is also just a short walk from many of Qatar’s museums. 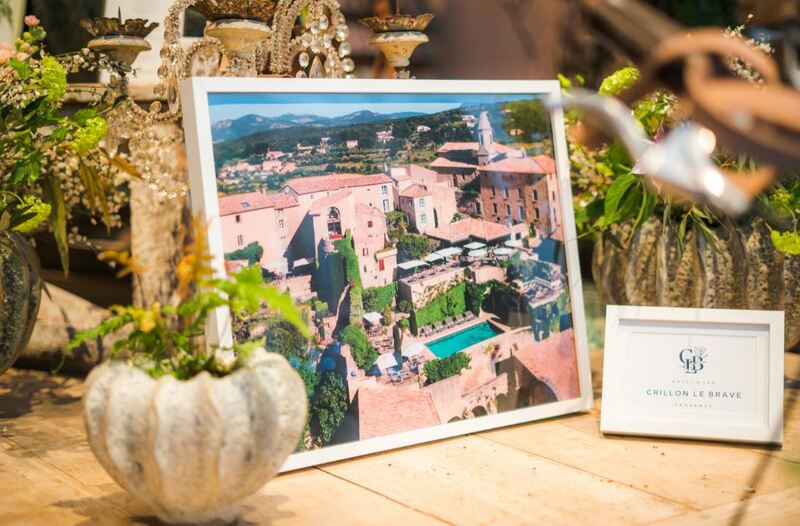 The hotel combines Arabic flair with European elegance, complete with ballroom and pool. Souq Waqif Boutique Hotels by Tivoli provide an eclectic choice of hotels to choose from, comprising an impressive collection of nine boutique hotels dotted all around the Souq Waqif. Facilities, such as the spa, restaurants and pool are spread out across each of the properties, offering a great way to get more for your money. 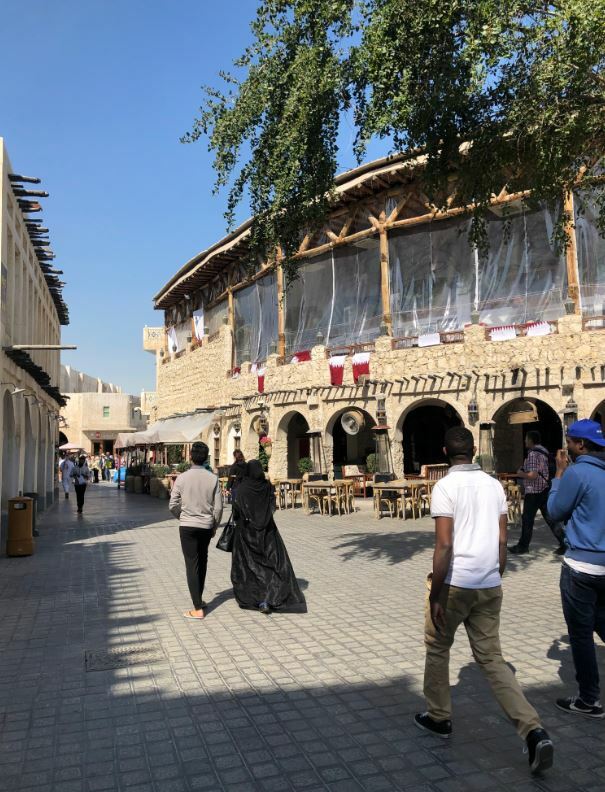 If you prefer being closer to the coast, Souq Al Wakra Hotel Qatar by Tivoli is located on the shores of the Arabian Gulf, in the newly established Souq Al Wakra. Take a stroll along the promenade before stopping off for shisha as you look out at the sea. Foul Moudemas is a delicious, traditional breakfast. 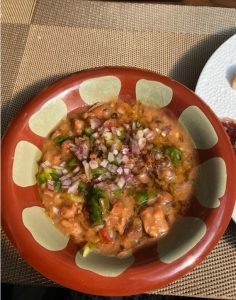 A great way to start the day, Foul Moudemas is a bowl of stewed broad beans, mixed with chopped vegetables and spices. You then add your own toppings, from onion and peppers to cumin and lemon. Om Ali is possibly the best dessert ever! 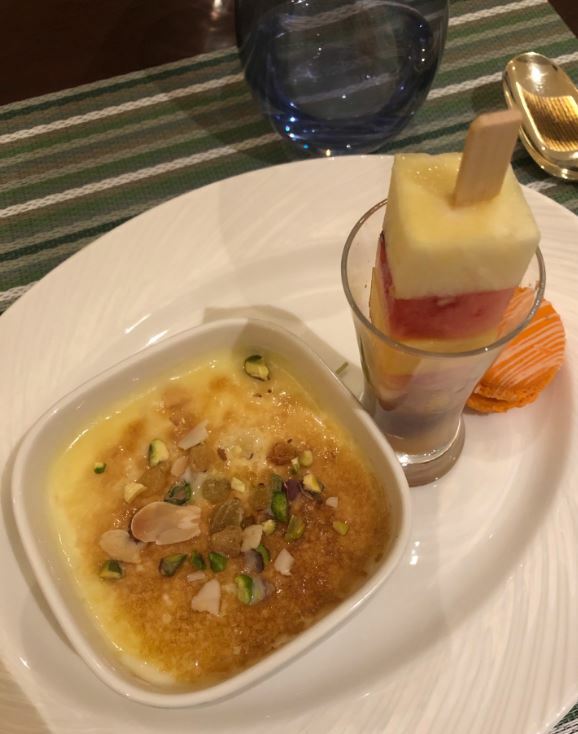 It’s not dissimilar to a British bread pudding, but this really is filled to the brim with sugar, milk and pistachios. Yum! 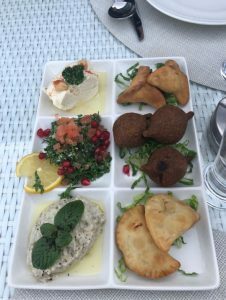 Mezze of course! It’s on every menu and it’s always great! Hummus, tabbouleh, babaghanoush, falafel and more, all Qatari restaurants put on a fabulous mezze feast. 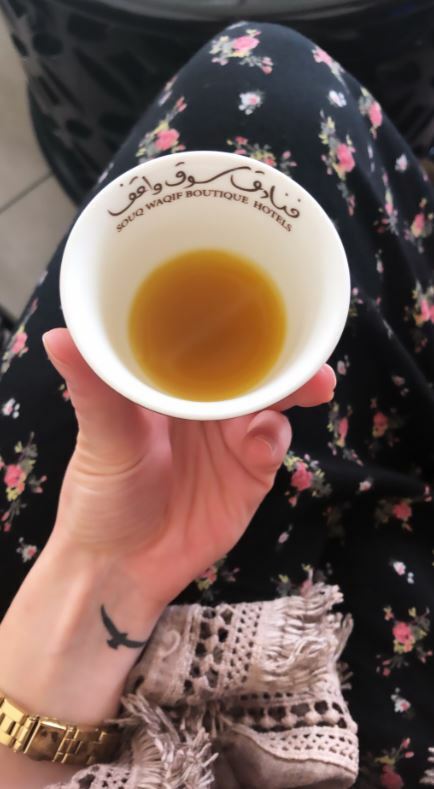 Qahwa – Otherwise known as Arabic coffee, it tastes nothing like European coffee, but bursting with Cardamom, it’s a real treat to the senses! This traditional drink will be offered to you everywhere in Qatar, and is served up as a short refreshing drink. There’s a special knack to ask for more which locals love to tell you, so make sure you’re paying attention!